« Could the AB/SAB merger actually help Craft Beer? Take beer home from the Brewery!?! Celebrate GA Beer Day (visit your local GA brewery!!!) later this week. Lots of GA breweries doing events and raising money for the GA Craft Brewers Guild. For Terrapin’s part we are doing a special tour on Thursday November 12th and filling growlers of many of our delicious beers. Help celebrate our first Ales from the Wood release. The Richland Reserve Release Party will be November 15th from 1:30pm to 3:30pm. We’re doing a tour for $30 that will include a special glass and a 22oz bottle of Richland Reserve on top of the tour and tastings you’ll enjoy while at the brewery! For anyone missing our Hopzilla, get excited, because this beer is Hopzilla aged in Richland Rum barrels! 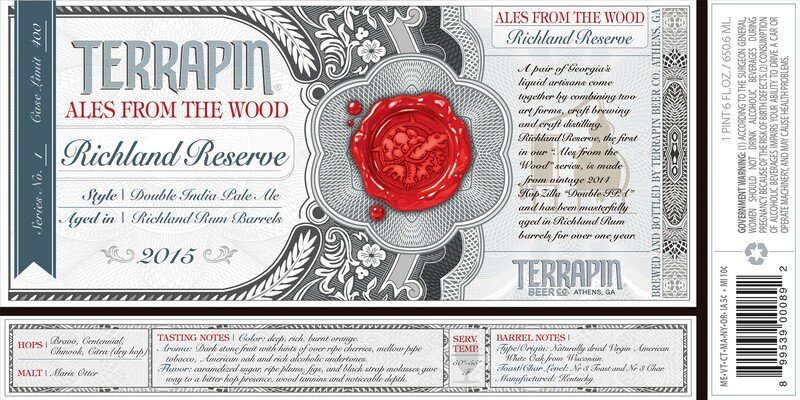 Terrapin Brewmaster Spike Buckowski and Erik Vonk from Richland Rum will be here talking about the beer, the Terrapin & Richland Rum partnership, and the barrel aging process. Wake ‘n Bake Release Party will be on November 17th from 5 to 7pm! The $25 release tour will include a custom snifter glass with both the Terrapin and Jittery Joe’s logos, 36oz of beer in the tasting room, a 12oz can of Wake-n-Bake coffee, AND a 12oz Wake-n-Bake beer to go! To add to all of that there will be Wake-n-Bake on tap, last year’s French Toasted Wake-n-Bake on tap, live music, sweets provided by Jittery Joe’s, and ice cream for making tasty Wake-n-Bake floats. So whether it’s November 12th, 15th or 17th, come out to Terrapin and take some tasty beer home with you!